The bezels of the brand-new design are just 4.9 mm thick on three sides for a high 82 percent screen-to-body ratio. 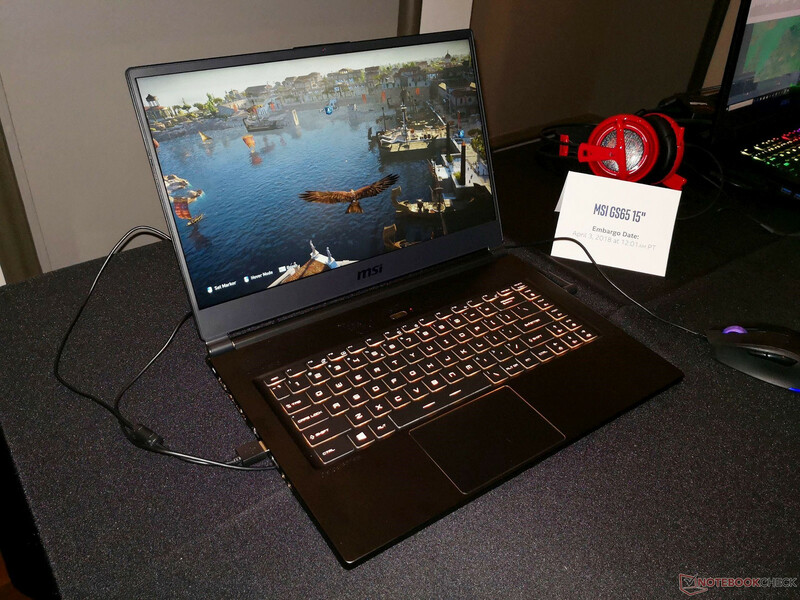 MSI is promising the thinnest bezels ever on a 15.6-inch gaming notebook for a final chassis size close to that of a 14-inch notebook. Of course, 8th gen Core i7 options will come standard. It's been four years since the original GS60 and two years since the GS63VR. 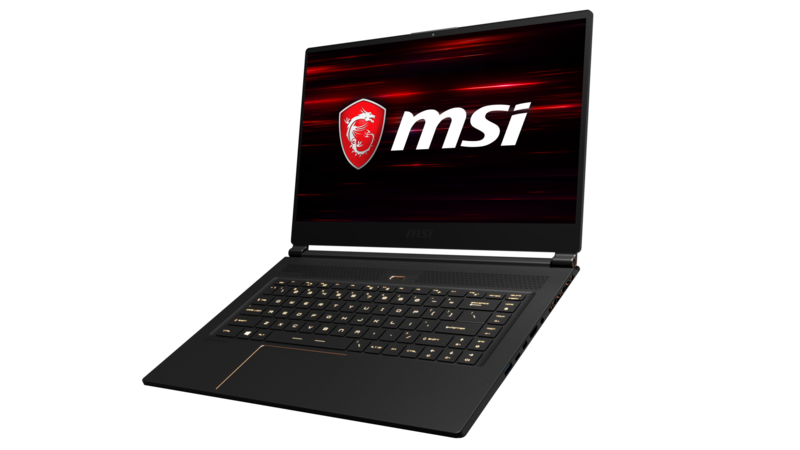 In keeping with the two-year refresh tradition, MSI has taken the curtains off the GS65 to succeed the aging GS63VR just in time for Coffee Lake-H. 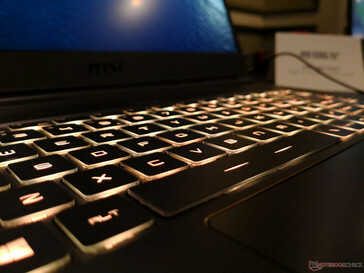 The most notable and important change over the GS63VR is the narrower bezel. 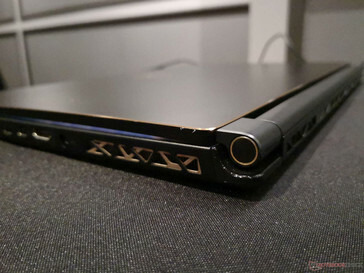 While Ultrabooks have enjoyed narrow bezels ever since the introduction of the XPS 13 InfinityEdge a few years back, gaming notebooks have been stuck with thick and relatively unattractive bezels. The main culprit, as we've been told, had been the lack of proper panels that allow for both narrower bezels and faster response times on gaming notebooks. 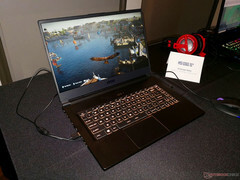 Whereas narrow-bezel Ultrabooks like the XPS 13 and XPS 15 can get away with moderate-to-heavy ghosting, gaming notebooks demand much faster response times that panel manufacturers were not able to provide up until now. This is why the original narrow-bezel Gigabyte Aero 15 was not marketed as a primary gaming notebook because of its intense ghosting. MSI wanted to be the first to take advantage of these new panels and thus the GS65 was born. 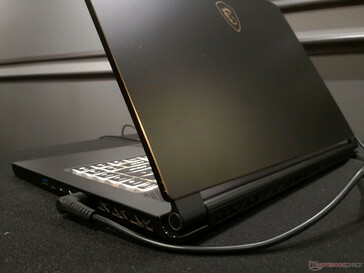 The upcoming 15.6-inch notebook will carry a lucrative 144 Hz/7 ms IPS panel provided by BOE Display that should satisfy both mainstream and fast-paced games when on-the-go. 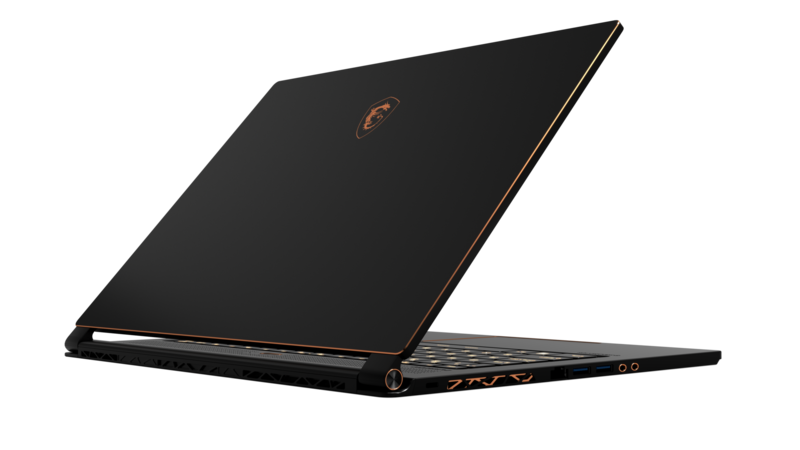 Previously, laptop gamers had to make do with 120 Hz/5 ms or 120 Hz/3 ms TN panels on thicker bezel designs like the GS63 or Aorus X5. While response times are a bit slower this time around at 7 ms, the immense drop in form factor makes this small trade off well worth it as shown by our comparison table above. 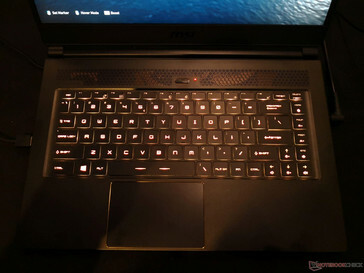 The GS65 isn't nearly as wide as its predecessor and it still manages to incorporate a much larger internal battery, per-key RGB lighting, and the same GPU and RAM options. From our short time with a pre-production unit, there's no denying that MSI is going for a classier look fit for business environments over the showy brushed-aluminum designs of the GS60 or GS63. The smooth black matte surfaces, muted gold emblem, gold trim, and less aggressive accents definitely carry a more professional air. 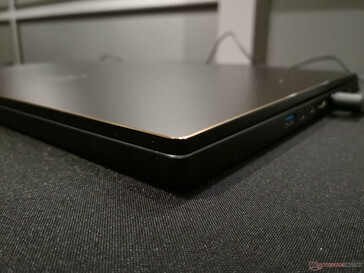 Chassis quality doesn't seem to be all that better than the GS63, unfortunately, as the base and lid appear more susceptible to flexing than the XPS 15, Gigabyte Aero 15, and Spectre x360 15. 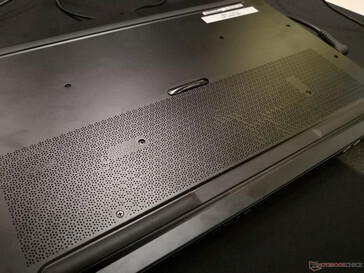 The trackpad is far too soft as well, but MSI has reassured us that the pre-production unit is not fully representative of the final retail unit and so we'll save our judgments until then. From the inside, the cooling solution keeps the triple-fan and four heat pipe setup of the GS63 and the design will launch in both GTX 1070 Max-Q and standrd GTX 1060 options. Even though the GTX 1070 Max-Q SKU should provide superior gaming performance over the GTX 1060 SKU, MSI is promising that the fan noise between them should be identical. 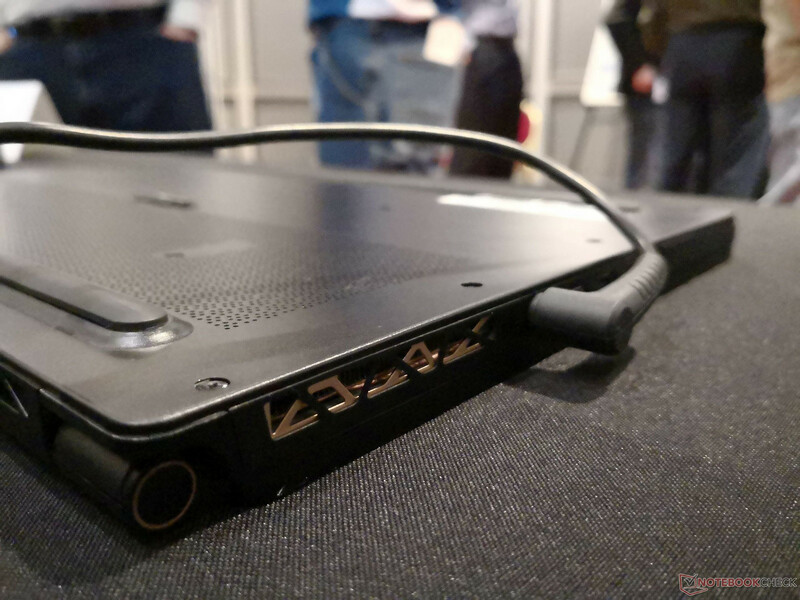 System noise has always been a huge asterisk on the MSI GS series and so it will be interesting to see how the smaller GS65 compares to its predecessors. 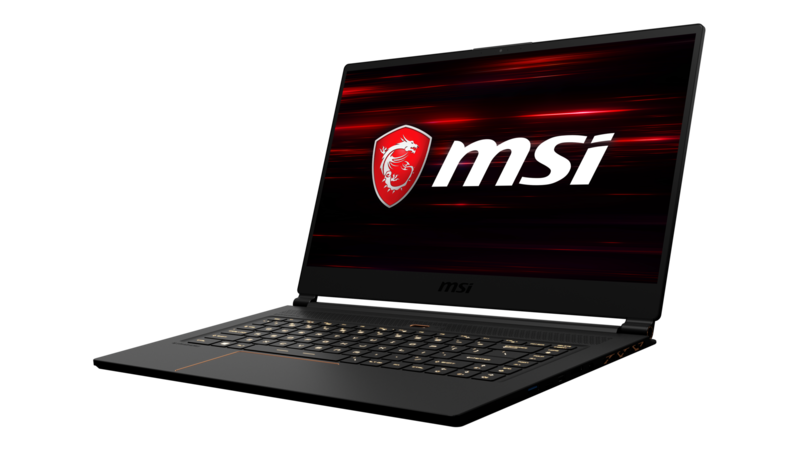 The MSI GS65 is expected to launch on April 16 alongside many other Coffee Lake-H notebooks including the Asus Zephyrus GM501, HP Omen 17, and MSI's own GT75. 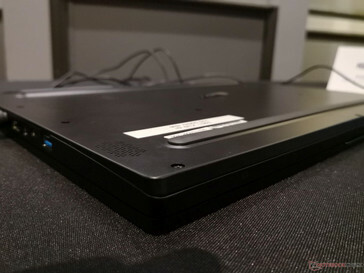 Note that the upcoming second-generation Gigabyte Aero 15 will also sport the same 144 Hz/7 ms panel to compete directly against the new GS65. As for the inevitable 17.3-inch "GS75", such a model will likely have to wait until proper narrow-bezel panels become available for that screen size.